There are accounting analysts, Wall Street analysts, portfolio analysts and business analysts. When you're doing a job search, it can be tough to figure out which type of analyst job is being offered. That's why knowing the differences between the specialties can help you narrow your search and target the right position. Not knowing one analyst from another could frustrate you to the point where you need to see an analyst of another type -- psychiatric. Securities analysts are expert valuators. They use company records, press releases, industry trade publications as well as math, reporting and economics skills to come up with opinions about the current and future values of companies. Other securities analysts help design and sell fixed-income securities, debt instruments or equities. They also advise entities that purchase stocks, bonds and securities. These analysts create complex financial instruments such as derivatives, and other analysts figure out which hedges will best protect a bank from rising interest rates. Analysts in this field also value, model and set performance standards for portfolios. To find these jobs, go to the Monster job search page and select whatever geographic limits apply. Next, select banking, finance/economics and financial services from the industry search box. Put "analyst" in the keyword search box. Unless you've narrowed your search to a small geographic area, this will pull up thousands of listings. Next, conduct a subsearch to look for a specific niche. Examples of this would be "hedge," "derivatives," "portfolio," "equity" or "fixed income." If you're new to the field, you can find entry-level jobs for undergraduates who have taken classes in finance, math, computers and economics. For these spots, search using a broad keyword such as "mutual fund" or "investment bank," then perform a subsearch using the term "entry level." Job titles aren't the only keywords you can use to turn up the analyst position you want. Securities analysts who've earned the Chartered Financial Analyst (CFA) designation may want to use that as their keyword. A Monster job search using "CFA" as a keyword will turn up hundreds of jobs. You can then perform a subsearch by the subject of your analysis. You'll find information about the CFA online at the CFA Institute. If you're in New York, try the New York Society of Security Analysts. Business analysts are predictors of business concerns, such as: "How can we make money from this new widget?" or "How can we make more money manufacturing widgets?" They perform profit-and-loss calculations, forecast market conditions, create sales models and write reports. To get an idea of the type of work a business analyst performs, look at a sample resume for a financial analyst. If you don't know what type of analyst you want to become and want to work in a certain geographic area, you can search using the term "analyst" and then pick through the jobs that come up. You may find that as your search broadens geographically, your terms must narrow. A recent search for "analyst" in Anniston, Alabama, turned up two jobs. 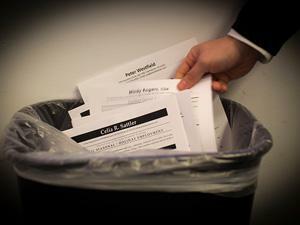 The same search in New York City found about 1,200 job postings. You can also use your niche as a keyword. If you're a risk analyst and want to do a nationwide search, start by putting "analyst" in the keyword search box. Then, do a subsearch using the keyword "risk." The same idea applies to the industry choices. If you know only that you want to move to a different industry, but don't know which one, you'll have to add a second keyword to subsearch the "analyst" results. Recent graduates may want to use their major to pare down the "analyst" results. For instance, you could search "analyst," then "accounting," "economics" or "systems." To drill down into the database further, you could use the keyword "entry level." If you're not sure what type of analyst you'd like to become, try setting up informational interviews to talk to the folks in the trenches. If you're still in school, try a different analyst internship each summer. By the time you graduate, you'll have a much better idea of the type of analyst position that would make you happy.